Barcelona Photoblog: Meat Grinder: Sausage, The Making of. 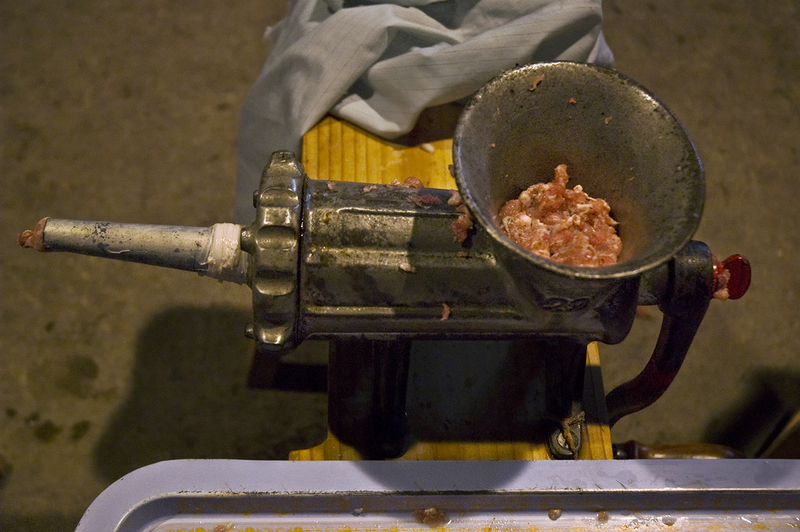 Meat Grinder: Sausage, The Making of. Just an appliance: the meat grinder. Very common in Catalan towns when stuffing bowels with pork meat to make sausages.